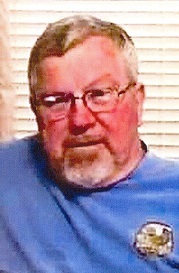 Alvin Eugene Van Dyke, 69, of Silvis passed away January 21, 2019 at his home. A celebration of life will be 2-7pm Saturday – February 2, 2019 at Colona American Legion Post 1233. Schroder Mortuary in Silvis is assisting the family with arrangements. Alvin was born May 12, 1949 in Moline, IL the son of Eugene and Marlo Hughes Van Dyke. He served in the Air Force during Vietnam. He married Twila Parsons in 1986. Alvin retired from John Deere after 30 years. He continued to work for IHMVCU in maintenance for 10 years. He was a member of the Colona American Legion Post 1233 and enjoyed restoring cars and motorcycles. He loved camping, especially wintering in Florida, and his dog Missy. Survivors include his wife Twila; children Edmond Van Dyke, Alvin W. Van Dyke, Tonya Weatherington, Ginger (Bill) Anderson and Gary Weatherington; 10 grandchildren; sister Roberta (Jerry) Garrison; brother Bill Van Dyke and a special friend Dawn Hunter. Alvin was preceded in death by his parents and a brother George.